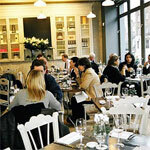 Aubaine - SW3 2AS A French bakery and restaurant with old-fashioned dishes. 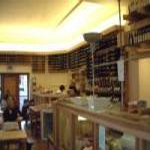 The breads are excellent though. 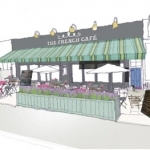 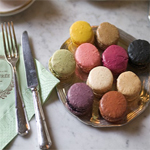 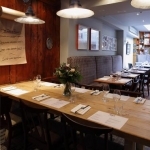 Bubb's le Restaurant Français - EC1A 9NB Bubb's serves a variety of traditional French dishes at their restaurant and can cater for private parties of up to 30 guests upon request. 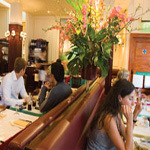 Café de la Place - SW11 3RA Café de la place is open for breakfast and is well-known for its French set dinners. 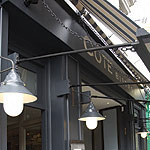 Côte - W8 5DA First of a new chain of French bistros. 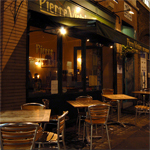 Coffees and croissants served until noon on Saturday and Sunday. 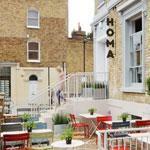 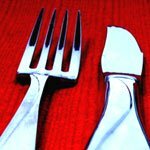 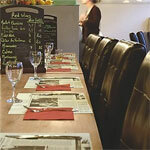 Meals for two with wine and service: around £60. 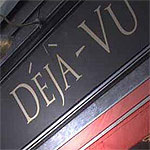 Déjà vu - SW5 Traditional French menu with a selection of superb charcuterie. 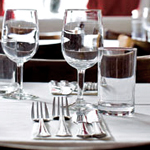 A meal for two with wine and service costs about £80. 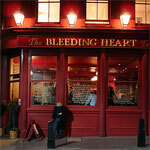 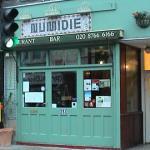 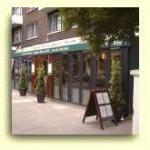 Just Around the Corner - NW2 2HY you pay what you want for the meal! 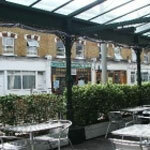 Le Petit Train - NW1 8LS We are sorry but this restaurant has closed. 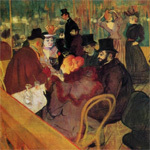 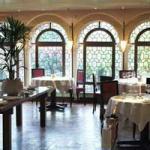 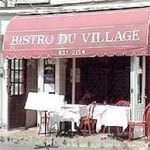 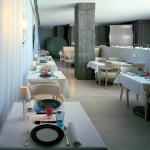 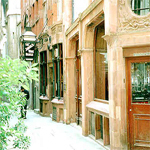 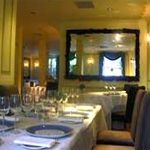 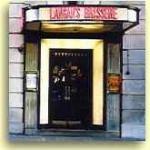 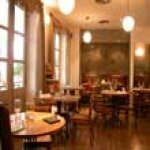 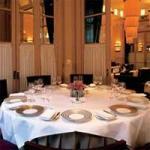 Traditional French restaurant in beautifully stylish surroundings. 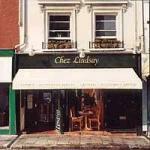 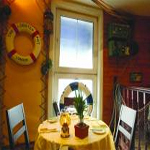 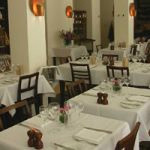 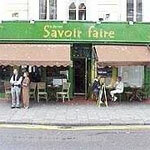 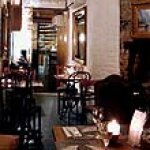 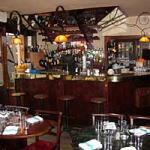 Le Potiron Sauvage - SW6 5UU Le Potiron Sauvage is a charming French restaurant with a friendly, intimate atmosphere. 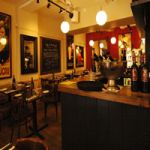 Le QuecumBar & Brasserie - SW11 3HX A unique wine bar from a bygone era: pre-war France, with Hot Club gypsy jazz, invented by Django Reinhardt. 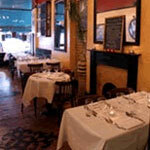 Notre Dame - N10 3SH In a gothic style decor, Notre Dame is a typical French-Med bistro, where you might be asked to share a table. 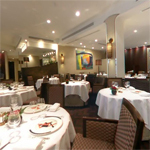 Novelli - EC4N 7BW Targeted at a crowd of City professionals, a meal here is on the expensive side for good quality food. 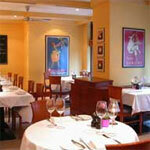 Odin's - W1 G6PL Odin’s is a spacious restaurant in Marylebone that serves good French-British bistro food. 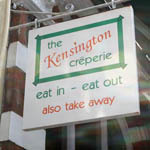 Menu approx. 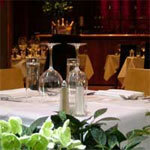 £25 for 2 courses and £28 for three. 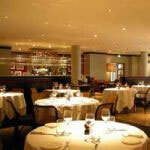 Oriel Brasserie - SW1 W8AX Very busy for lunch time, it is mostly a bar in the evening. 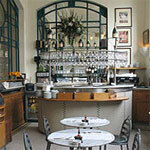 Renaissance - W11 4UA French brasserie in which you can eat delicious moules frites. 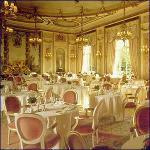 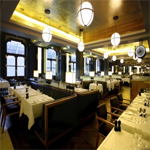 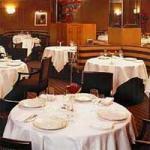 Ritz Restaurant - W1 J9BR The Ritz does not need an introduction. 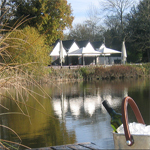 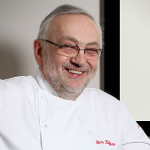 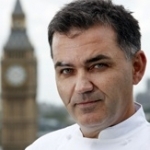 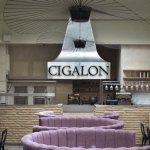 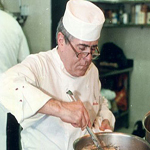 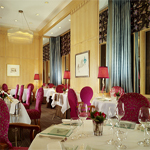 It serves a Classic French-British menu by Chef Giles Thompson in a superb setting. 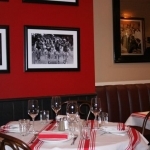 Sacré Coeur - N1 0QX Le Sacré Coeur is a cozy bistro with a warm, playful, arty interior. 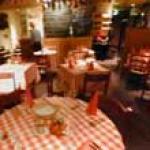 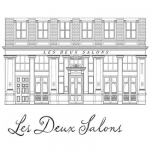 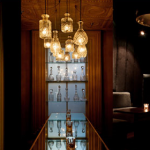 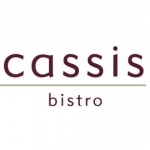 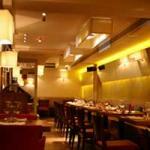 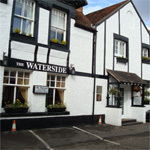 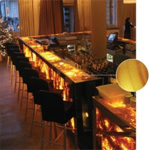 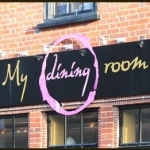 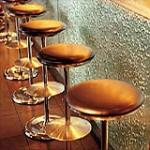 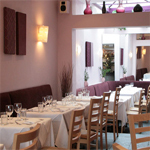 It aims to provide an efficient and very good service whilst keeping a relaxed and friendly atmosphere. 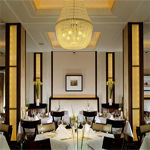 The Bingham - TW10 6UT The chic Bingham Restaurant is an elegant setting where diners can enjoy the very best in British food by highly acclaimed executive chef Shay Cooper. 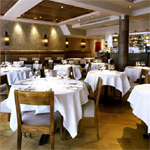 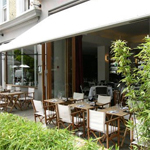 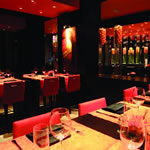 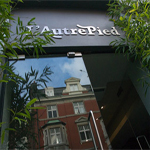 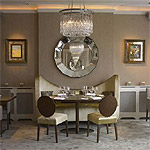 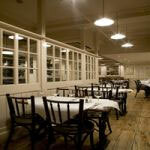 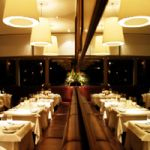 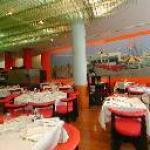 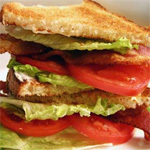 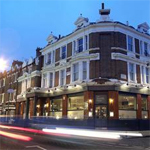 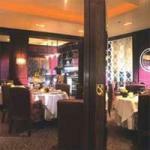 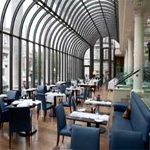 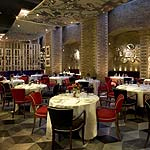 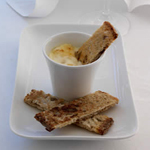 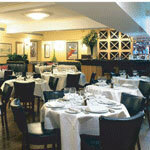 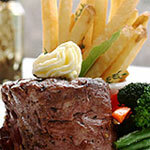 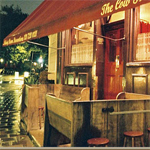 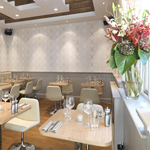 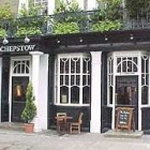 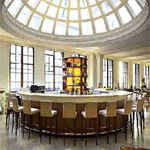 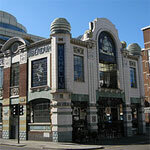 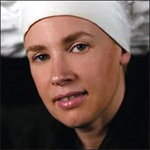 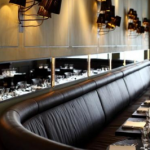 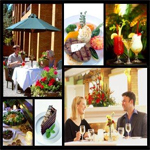 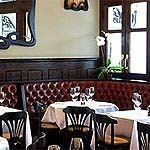 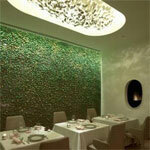 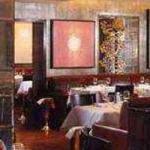 The Westbury Restaurant - W1S 2YF Relaxed, graceful and service dedicated to you. 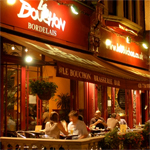 French Cuisine. 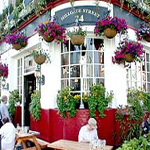 Versailles (Le) - SW9 Le Versailles serves decent traditional French food. 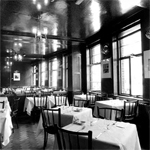 Set-price lunches start from £6, and dinner from £10 to £14. 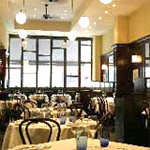 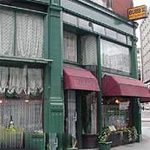 Zinc - W1 B4BG Bistro open from noon to midnight, fixed-priced menu for lunch and for tea.